RFID (Radio Frequency Identification) uses radio signals emanating from a tag to transmit information for automatically identifying an item. Tags can contain a large amount of data, allowing manufacturers, suppliers and retailers to track and manage assets more efficiently. RFID is used today for tracking animals, library books, container locations, building security, auto keyless entry and many more. One of the most visible uses of the technology is for toll collections in heavily populated areas (often called "EZ Pass" or something similar). An RFID transmitter is placed on the vehicle of the subscriber. The transmitter is "read" as the vehicle passes by the toll area, automatically identifying the vehicle and debiting the owner's account. Lack of standards for the data structures to be used with RFID. 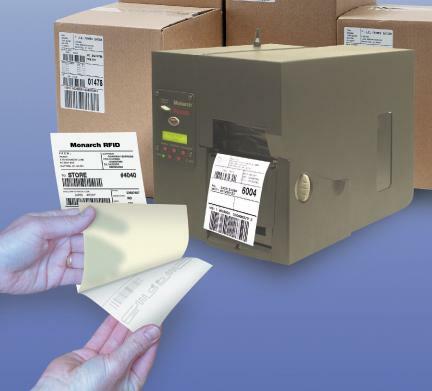 RFID labels and tags are cost-prohibitive for many applications. Tag size is dependent on the read range desired, making tags too large for small item marking. Software infrastructures are largely undeveloped and support multiple technologies with no standardization. Various frequencies provide various costs, ranges, read-rates, and reader requirements, leading to confusion. Consumer groups have expressed concern over the potential (real or imagined) privacy invasion that would result with widespread RFID item marking. Several large retailers and consumer goods manufacturers have announced plans to use RFID for a variety of applications. Of particular importance to the retail supply chain is Wal-Mart’s announcement that they will require their top 100 suppliers to be RFID compliant, at the pallet and carton level, by the year 2005. The UCC (Uniform Code Council) is working to standardize data structures, based on the EPC (Electronic Product Code), and has taken over the management of Auto ID center from MIT. The new organization is called EPCglobal, and its mission is to commercialize RFID. With Wal-Mart’s requirements, there is increased focus at UCC to publish standards by 4th quarter, 2004. With standards in place, there will be clear direction for companies to invest in the technology to drive down cost and overcome the major issues. Pallet labeling and verification at METRO AG in germany see this document. Liquids and metals can interfer seriously with RFID, here is our solution in this document. GOMARO s.a. is committed to aggressively participate in the developing market for RFID products. Our goal is to become a major source for RFID supplies and the printers which program them for all popular RFID systems. Development of low cost RFID supply alternatives. Utilizing our 9800 series printer platform to read and write RFID labels.